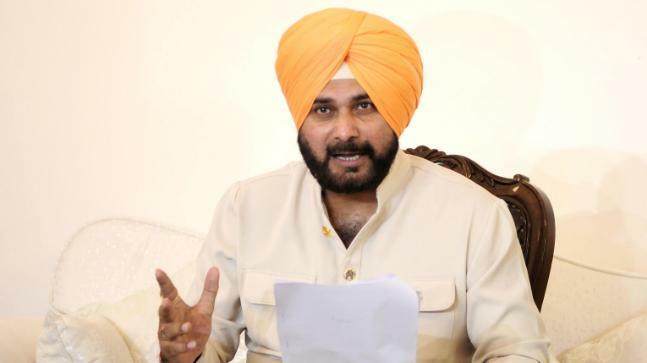 Amritsar Train Accident: Navjot Singh Sidhu Speak On Amritsar Train Accident High-Speed Train Did Not Give The Horn: Navjot Singh Sidhu speaks on a matter that a train accident in Amritsar is an accident but there is also some carelessness in this and the state government has ordered an inquiry. He said that the incident which took place at a speeding speed. The train did not give the horn. Chief Minister Capt Amarinder Singh has ordered an inquiry into the entire matter. Punjab Government, the Cabinet Minister after knowing the condition of the injured admitted in civil and other private hospitals said that the incident was so sudden that no one knew anything. He told that he has met with injured who are admitted in hospitals, They said that many people were standing on the railway track and some were standing nearby injured said that the people had to move two steps back to avoid the burning effigy during Ravana's combustion and the fast-moving train crushed them. The speed of the train was so fast that it was such a big accident in just a few seconds. Sidhu said that people had come to celebrate the festival, but this accident has shattered many people's families and many have lost their families. He said that there is no conspiracy of anyone in it. He said that Chief Minister Capt Amarinder Singh is reaching Amritsar till 10 o'clock in the morning, with whom the whole condition will be discussed. There are orders for investigation of the incident. Sidhu thanked the Railway Minister for reaching the venue at night itself. He said that he had got information about the incident in Bangalore, after which he contacted his wife, Dr. Navjot Kaur Sidhu, who immediately reached the hospital after the incident. On Sidhu's accusation of going from the scene of the incident, he said that people say anything but this is not true. He said that Dr. Sidhu, after reaching the hospital, has treated the injured himself and all efforts will be made to provide relief to the victims.